Michael Davis brings to NMC Healthcare 30 years of acute and post-acute care experience within large, publicly listed hospital systems in the US. 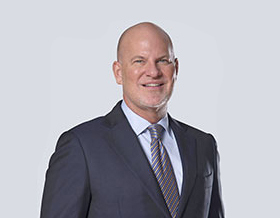 He has held several corporate positions over the years, including Chief Clinical Officer with operational oversight of 36 long-term acute care and inpatient rehabilitation hospitals across the United States, as well as Market CEO for Kindred Healthcare, one of the largest healthcare providers in North America. He relocated to the UAE in 2013 to join TVM Healthcare MENA, a boutique private equity fund, to assist in the growth and development of their long-term care business and held the position of CEO of ProVita International Medical Center, the first provider of long-term acute care in the UAE. ProVita was bought by NMC in August 2015 in a bid to strengthen the company’s LTC and Home Care vertical. Michael has reported to Prasanth Manghat, CEO of NMC Health, since August 2015 and moved to NMC’s corporate strategic leadership team in June 2017 to serve as the company’s Chief Operating Officer.